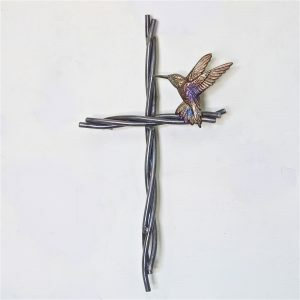 View cart “Dragonfly Cross” has been added to your cart. 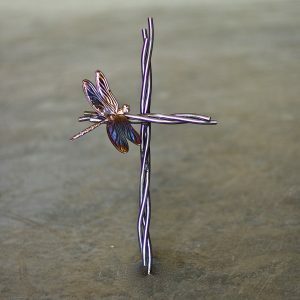 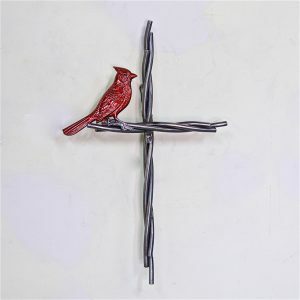 The Butterfly Cross is a hand bent wall hanging creation featuring 6 strands of 5/16″ round materiel twisted to resemble vines from a grape vineyard. 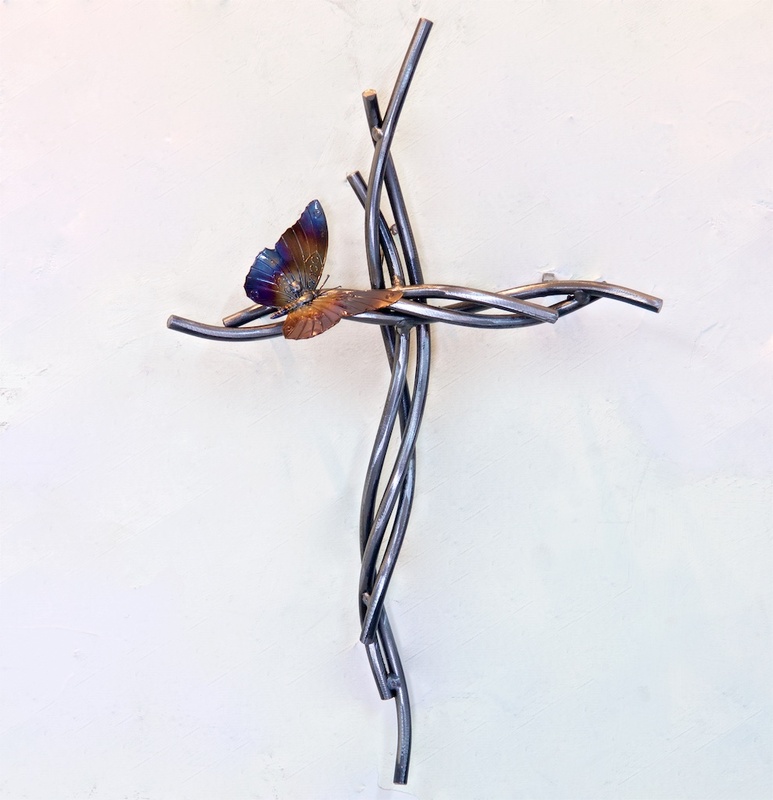 The delicate butterfly is gently heated with flame to achieve the subtle blues and purples on the wings. 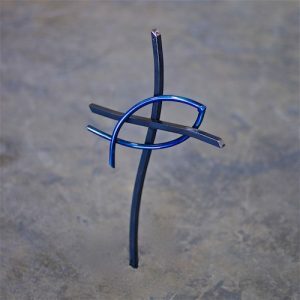 Each cross is then coated with a glossy clear finish.